Here at The A.V. Club, we’ve had a lot of fun over the years with the idea of Steven Soderbergh’s retirement—a three-year period that’s covered some of the director, editor, and cinematographer’s most consistent and prolific work, including unofficial film edits, a Liberace biopic, and directing every single episode of an entire Cinemax TV show. 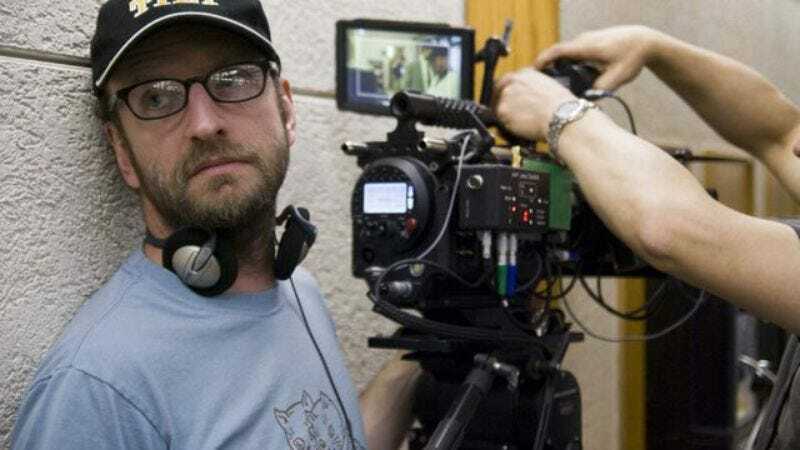 But no truly good thing can last, and so, it is with heavy hearts that we must report this news: The end of Soderbergh’s film-making career has come to an end. As reported by Variety, the Traffic director has become attached to direct a new feature film, breaking his sacred vow and sending Soderbergh retirement fans a-weeping into the hills. What could lure the Ocean’s Eleven mastermind away from his idle senior days of executive producing three TV shows at a time? Simple: Hillbilly Heist, a project that combines the man’s love of a well-shot theft with two of his favorite stars, Matt Damon and Magic Mike’s Channing Tatum. Beyond the banjo-evoking title, there are no details available about the script, but apparently the premise was so good that it drew Soderbergh out of his retirement home’s editing bay and back into the director’s chair. The project hasn’t landed at a studio yet, but apparently movie execs are lining up to welcome this reclusive legend back into the film-making world. UPDATE: Variety has now recanted roughly half the details in its story, at least partially in response to Soderbergh tweeting about its various inaccuracies. The film in question is apparently titled Lucky Logan, not Hillbilly Heist, and Damon isn’t attached in any way. (Channing Tatum still appears to be on board, for what we’re still assuming are some level of yokel-based shenanigans.) Also, Soderbergh appears to be denying that he’s returning to feature films on social media, although any straight-up denials on his Twitter account have been forgone in favor of posting pictures of monkeys.